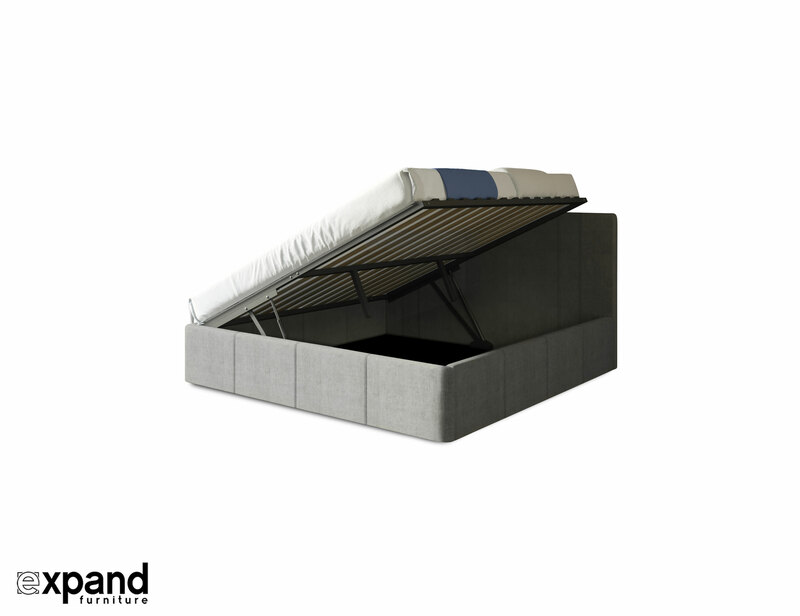 Reveal Under Bed Side Lifting Double/Full Bed has a brilliant design that allows for side lifting hydraulic pistons to support your mattress and frame to show a massive opening. 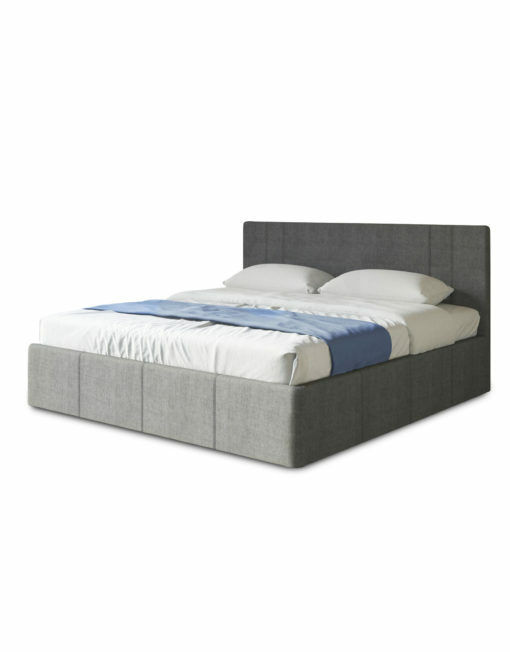 The headboard is removable and stores inside. 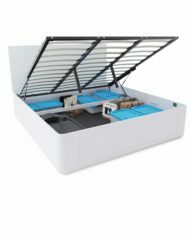 The storage depth is an exceptional 13 inches which offers 50% more capacity than a conventional storage bed. 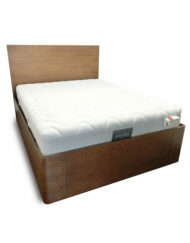 Choose your own comfort of mattress or view our collection of mattresses that best suits your needs. 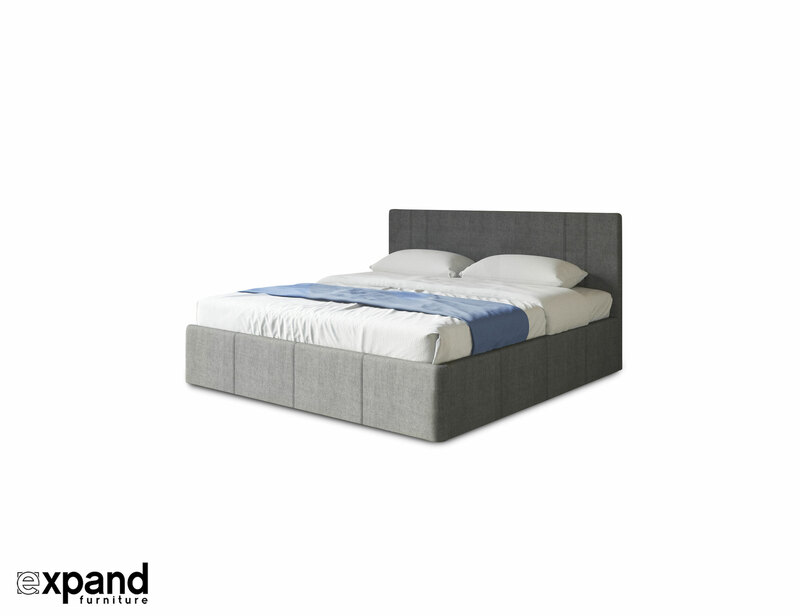 The headboard can be added or removed to your pleasing to show a different decor look of your choosing and can even be stored in the base of the bed when not used. 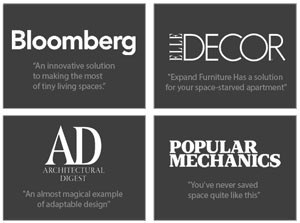 A thin bottom layer of material protects your floor and therefore also increases square footage and depth for your items. 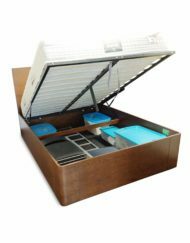 The smart design side opening feature pulls up and exposes a large opening for you to store your goods. 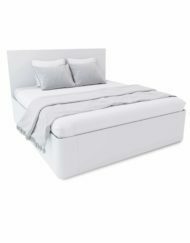 Fits Any normal USA/CAN Double Size mattresses. Minimum weight 40lbs, Maximum 140lbs. If you have a heavier mattress we can make it work with custom pistons. 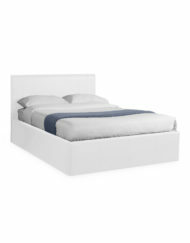 This bed does require assembly ~ Set aside a few hours for this task. Some customers can finish in under an hour while others can spend a few. Shipping: 2 weeks by ground in North America. 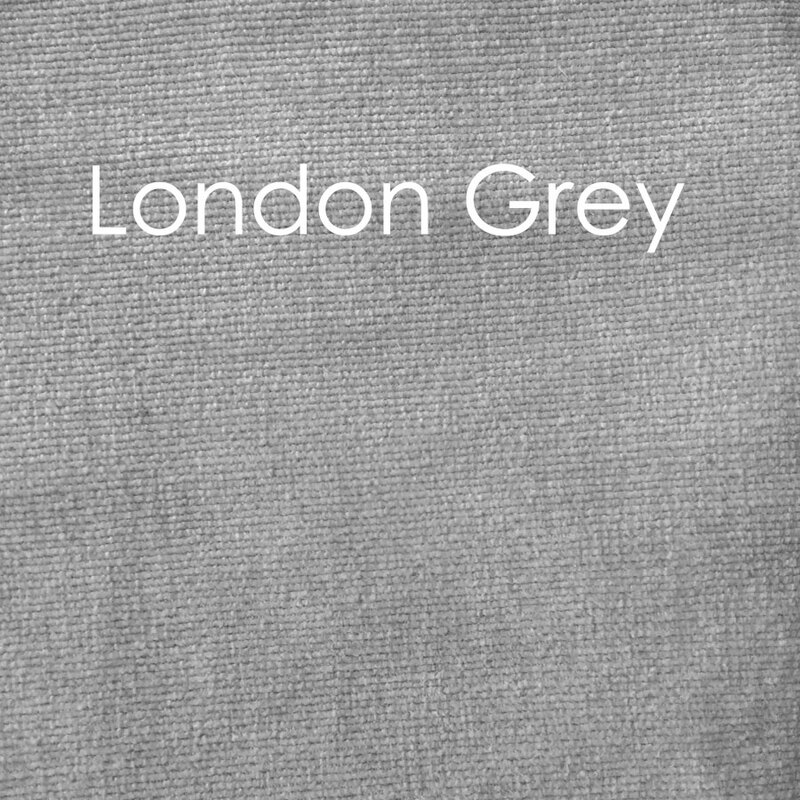 For International orders please inquire. 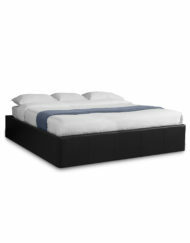 Simple yet chic, this bed fit flawlessly into our bedroom. 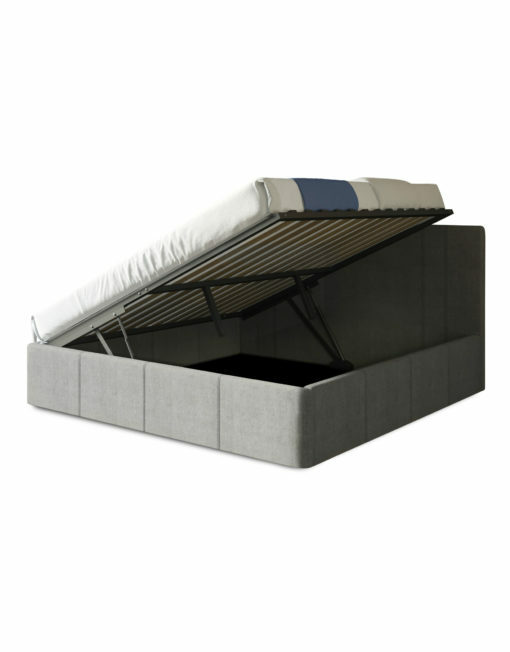 Perfect for apartment living; it has a surprisingly large storage space underneath the mattress. It arrived quickly and was easy to assemble. 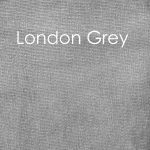 Good customer service made ordering and delivery a smooth process. We recently moved into a condo and the Reveal Side Lift is perfectly suited to the space. 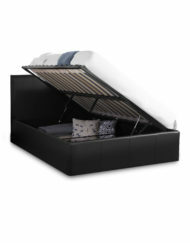 The bedroom's footprint is suited to a side lift and the storage space is amazing. 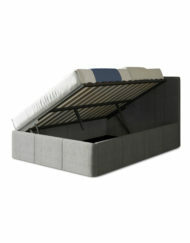 We can fit suitcases, banker's boxes, extra bulky bedding, etc. into the storage space. 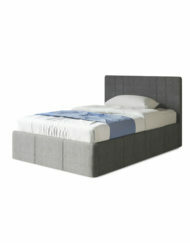 The bed has good structural quality and was easy to assemble. 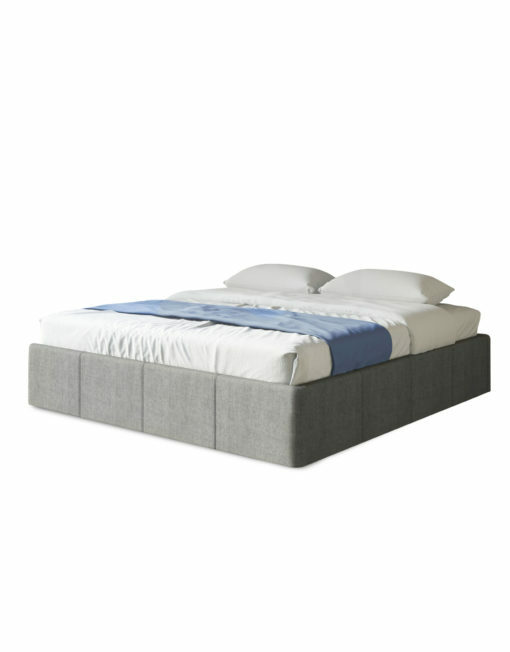 In our particular case we have a thick foam mattress (Dormeo) but the bed lifts well with a little assistance. 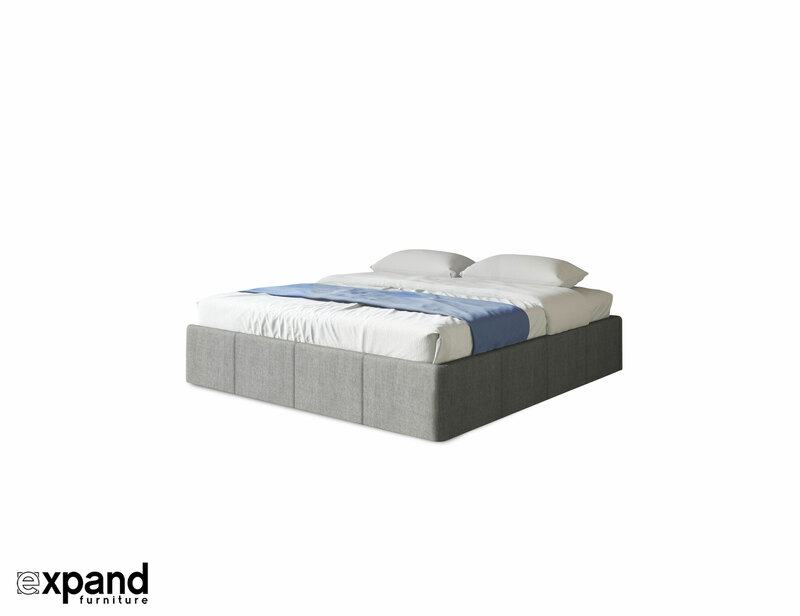 With the thicker mattress the overall bed height is taller than we anticipated but that is the compromise with having a thicker mattress on top of a larger storage space. 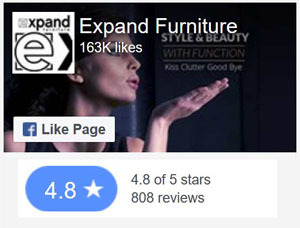 Expand gave great customer service and we would have no hesitation in buying the bed again. 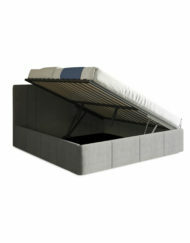 Amazing capacity to store all our seasonal clothes and bedding. Downsizing was made much easier knowing that extra stuff could be stowed away neatly. Surprisingly easy to operate even with our heavy mattress. We did switch out to stronger Pistons which Expand Supplied. Would highly recommend for tight spaces! It's big enough that it can fit my hockey bag as well as a bunch of extra storage boxes and bedding.